The point of laughter is to break our own boundaries so ADD YOUR LAUGHTER TODAY! 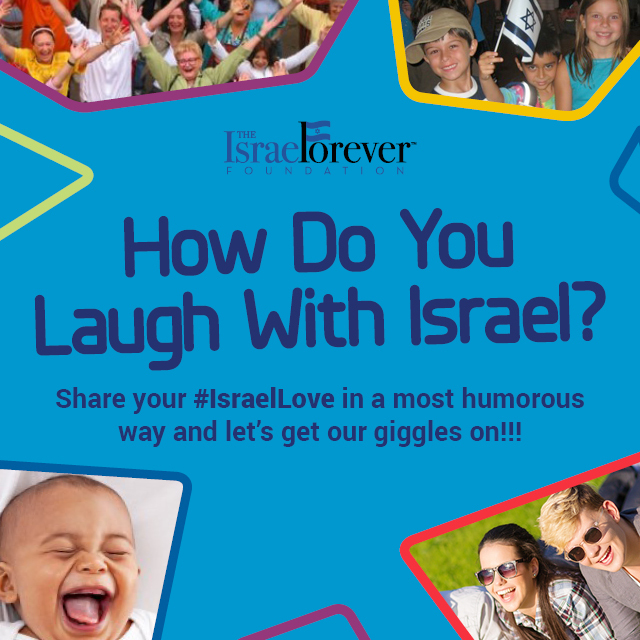 Throughout the year we welcome your jokes, sketches, songs, and parodies that relate with Israel to be shared with the world! SUBMISSIONS CAN INCLUDE: jokes, sketches, songs, improv, parody, film, satire or spoofs that address something about Israel. SUBMISSIONS WHICH INCLUDE ANY OF THE FOLLOWING WILL BE AUTOMATICALLY ELIMINATED: profanity, hatred, racism, derogatory or offensive references to any group or individual. Please fill out the form below to submit your video and a member of our team will be in touch if we need further information. All submissions must be approved before being published on the website. To view submission rules, click HERE.